Welcome to Second Chance Dog Rescue! So glad you are here! 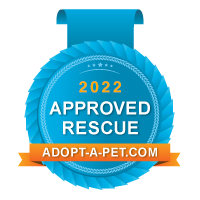 We are a licensed 501(c)3 dog rescue. We specialize in breeder released dogs. We also take owner surrendered dogs and help strays find their homes. ​When a dog comes into Second Chance, his future begins. The dog's past is over. Our first goal for a new dog is to work with our veterinarian, Dr. Lindsay Speer, to get the dog as healthy as possible. We then work on socializing the dogs, potty training, basic commands and leash training. We offer the dogs for adoption as soon as possible so their time in rescue is as short as it can be. We believe that ALL dogs should be given the opportunity for a SECOND CHANCE for a new life and work toward each dog attaining that goal. We invite you to check out the rest of our website. You may find the help you need for your own dog or you may find the love of your life right here at Second Chance! At Second Chance Dog Rescue...we believe that EVERY DOG DESERVES A SECOND CHANCE!